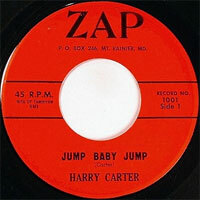 Chanteur Rockabilly US, Harry Carter, accompagné par les Dixie Rhythmaires, a enregistré deux singles au milieu des années cinquante chez Mar-Vel Records de Hammond (Indianna), puis on le retrouve chez Zap Records vers la fin 1958. 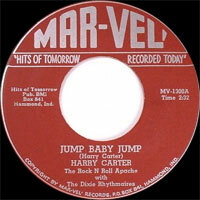 Il fut surnommé "The Rock 'n' Roll Apache". 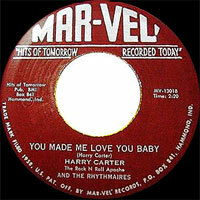 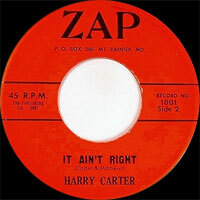 US Rockabilly singer, Harry Carter, accompanied by the Dixie Rhythmaires, recorded two singles in the middle of the Fifties at Mar-Vel Records of Hammond (Indianna), then one finds it at Zap Records towards the end 1958. He was called "The Rock 'n' Roll Apache".